Ofsted is the Office for Standards in Education, Children’s Services and Skills who inspect services providing education and skills for learners of all ages. Ofsted also inspect and regulate services that care for children and young people. 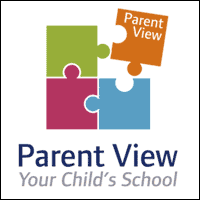 Parents and carers of Morpeth All Saints CE Aided First Schcool can give their views of the school at any time of the school year and at the time of a school inspection using an online questionnaire called Parent View. When Morpeth All Saints CE Aided First School is notified of its next Ofsted inspection, parents and carers will be invited to give their views about the school to inspectors using the Parent View online facility as this has replaced Ofsted’s paper questionnaire. Please make sure we have your most up-to-date contact details. Please register with an email address and a password at https://parentview.ofsted.gov.uk. Once your login has been activated, it only takes a few minutes to complete answers to 12 short questions about aspects such as bullying, the quality of teaching, level of homework, etc. Your views are very important in helping inspectors make a decision about our school and to help us know what is going well and what could be improved. If you do not have a computer or an email address or if you would like help to use Parent View, please contact Mrs. Taylor.